Hello. I just became a member. I am looking to buy a Class B very soon. I've never owned or slept in an RV before so I decided to rent a Class B for a couple of weeks first. 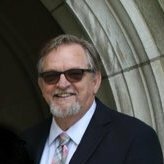 I found a company called 'Best Time RV' and they rent RoadTrek Zion and Simplicity. While I am not sure if Roadtrek is what I want to buy (especially with the recent news), that's the layout I am interested in and it seems like a good one to rent. 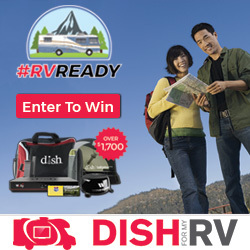 My question is, has anyone rented an RV from Best Time RV before? They have multiple locations like Las Vegas, Phoenix, L.A., etc. I'm ready to make a reservation with them but wanted to see if anyone had any experiences with them. I would check the BBB and on Irv2.com for more information, broader user base. 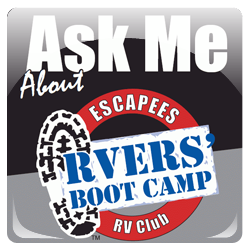 Welcome to the Escapee forums! 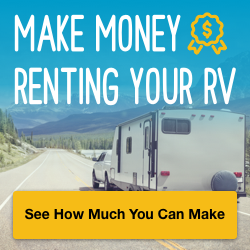 I think that you are very wise to rent an RV before you buy. I have not done business with this company but I just checked their Better Business Bureau rating and it is A+, so I would have no problem using them. Kirk, excellent information and advise. By the way, there's a lot of different models and features, thus, I would suggest that you read as many articles as possible and then try to rent the model specific you're interested in. I think I'm most interested in a used Pleasure Way Lexor TS (around 2016-2017) but the only rental place I found so far is in Austin, Texas (other than the individual rentals via outdoorsy). In general, it's WAY more expensive than renting a RoadTrek Zion in Las Vegas. I wanted to travel in an RV for 2 weeks to see if a RV lifestyle is for me or not. I'm not sure if I'm ready to pay over $3,500 for 2 weeks just to rent a Lexor! I need to save some for the downpayment I considered just renting the Lexor in Austin for a few days too. I will have to fly to either of the locations, so the plane tickets and other additional costs are going to add up too. Also, there aren't many used Lexors I can find and I may have to fly to those cities too if I want to look at them in person. How do people do it? I feel like I'll spend all of my money just trying to find the right RV! I wanted to travel in an RV for 2 weeks to see if a RV lifestyle is for me or not. The cost of renting is much less than would be the cost to buy an RV and then regret it and sell after only a short time. If you share your location we might be able to help you find a rental agency. As to the bias or lack thereof with the BBB. they seem to have as reliable information as I know of. Should you want more information on the company "Hit the Road" also has a review of them as does Yelp who gives them 4.5 stars. Thanks again! I read the Yelp reviews and it is 3.5 stars and I do see some negatives reviews. Not sure if it's all their fault, but definitely I need to be aware. I wonder if renting a Lexor for only 2-3 days would be long enough as a trial? I'm considering that route as well. Renting one in Florida or on the Gulf Coast would be great but I'm willing to go anywhere as long as it's not too cold. There is one Lexor for sale in Florida that looked/sounded good online, so it would be convenient if I can find a rental in Florida. Check Cruse America and El Monte RV Rentals. I see both of them on the road a lot. Not sure what make and models they rent but it would be worth checking both of the out. I wonder if renting a Lexor for only 2-3 days would be long enough as a trial? You need to be out long enough to discover how long the holding tanks work for you. The black tank on Lexor is larger than most Class B's so, if you can handle the smaller one of a Roadtrek you will be sure you will like the Lexor. You need to be out long enough to discover how long the holding tanks work for you. Thanks for the suggestion! How many days do I need to rent an RV to figure this out? 5 days? one week? Lexor has a 12 gallon black tank and a 20 gallon grey tank. Zion is 9.6/22.8. I was more concerned about the length of the RV if I should try to find something that is less than 20ft so it will easily fit in a parking space. I really like Pleasure Way Ascent which is only 19"7", but it's diesel and a lot more expensive. I know Roadtrek has Zion SRT but I'm not sure if I like the hanging closet and the 'wall' between the kitchen and the back sofa area. I really liked the open feel of Pleasure Way Ascent/Lexor. I'm sorry it's getting a little off topic. Do I need to create a new thread? IMO if you can go at least week without dumping you are fine. How many days do I need to rent an RV to figure this out? 5 days? one week? It really depends on how you plan to use the RV and also on yourself. If you only expect to spend very short periods in the RV after you buy it, then a few days should be fine but if you expect to spend months at a time traveling in it I think at least a week and two would be better. The thing to keep in mind is that the smaller the RV is the easier it will be to park and the more challenging it will be to live in. Nothing comes without a cost so you need to set a priority as to what is most important and what you can adapt. That is one of the reasons that so many of us suggest renting first. If you buy a new class B, you will spend very close to what it would cost to buy a small sized class C or A.
I recommend that you rent a Class B and then rent a Class C. That way you get the feel of both and can make a more educated decision on what to buy. Why are you focused on a Class B? Have you done some initial research that leads you in that direction, or is it just because it is a smaller vehicle? What sort of travel plans do you have? How many people and pets? Do any of them have mobility or health issues? How often will you be traveling, and how long will you stay in one place? Are you going to have some other means of transportation (other than your own two feet) for shopping, sightseeing, etc? Unless you are fine with packing up in order to go to the store, you will want to have something else for that. Are you going to be full-timing, or is this just for weekends and short vacations? Have you thought about what you will do when the weather is bad and you can't go outside? Do any of them have mobility or health issues? Yes, that's a valid question but my answer may surprise you. I bought my last Class B specifically to address those issues. Being able to reach my kitchen from my bed meant I could do many activities sitting down. Being a short RV with no slides meant I could walk from one end to the other using cupboards and cabinets for support. Being custom made meant I had a place to park my electric scooter. It wasn't until I could no longer pull the dump handle that I sold it. Now I wish I'd simply installed a macerator instead so I would not have to pull the dump valve. Thanks for the suggestion! How many days do I need to rent an RV to figure this out? 5 days? one week? At least one week. You aren't going to want to drive to a dump more often than that. One of the reasons we sold our first Class B after only four months is that the two of us couldn't make the small black tank last a week. The Lexor has a larger tank and, I think, there is only one of you so you should be able to go longer but until you try it you won't actually know. KayoCan, I didn't see where you responded to questions about your usage plans? Are you going full time or just travel some while you are still working? I would think 5-7 days would be plenty of time to see how you like being in your "B" and traveling. In my opinion the suggestions about the freshwater and holding tanks is only valid to a point. You should be able to understand you don't have very much capacity without filling your gray tank to overflowing. 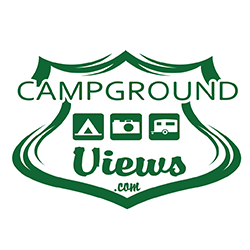 If you realey feel the need just turn off the campground utilities for a couple days. For your trial I would recommend staying at full hookup campground. Learning to dry camp takes some experience and I think would detract from the experience of learning how you like the "B" type camper. I would think 5-7 days would be plenty of time to see how you like being in your "B" and traveling. ﻿In my opinion the suggestions about the freshwater and holding tanks is only valid to a point. You should be able to understand you don't have very much capacity without filling your gray tank to overflowing. If you realey feel the need just turn off the campground utilities for a couple days. I'm not sure WildBill has ever lived in a Class B. While I agree with him that you should stay at one or more campgrounds for your trial and use their electricity, there is much to learn from filling your water tank then then disconnecting from the faucet. And you should never open your black tank valve until you are actually ready to dump anyway so leaving it closed until it fills or your are ready to leave is not a hardship. 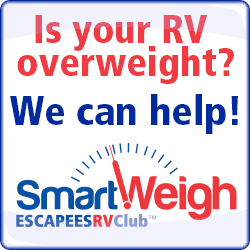 Living in a Class B is different than any other type of RV because of the limits of its size. It's a critical part of learning if this type of rig suits you or not. I have owned pretty much any type of RV except a 5th wheel or travel trailer since we bought a tent trailer back in the 1970s so I do know a bit about the challenges of various types. In a B storage space is also limited so you quickly learn what you can or can't cook because you don't want to use your limited space for a stock pot and, while you might be able to get a pizza delivered to your site, a pizza box will not fit in your fridge. Thanks everyone! I'll try to answer all the questions here. I'm interested in a class B because it looks almost like a normal car which I really like, AND it is small. I want to be able to drive it daily and also sleep in it. I want to be able to go to cities as well as national parks. I'm planning to use it full-time, at least for a while. It'll be just me, no pets. I don't know how long I will be at each location... if I like a place, I may stay there for a while, if not, I'll keep moving Basically, I have no specific plans yet. I've been traveling other countries with 2 backpacks for many months now (still out of the country at the moment) and I've been staying at hostels so I think that a class B would be an upgrade as far as the space goes. I work online, and I will most likely be going to coffee shops, especially if I don't want to stay inside the camper all day. I may buy a bike (or electric bike) but do not want to tow anything. I'm willing to pack up everything to drive every day if needed since I'm kind of used to doing it right now. I have no mobility issues. I'm planning to use it full-time, at least for a while. You do sound like a good candidate for the life that you are planning. It might not be absolutely necessary to do a rental as a trial first, but if you have any doubts I would plan to do that. The one other thing that I would suggest is to do some shopping for them via the net so you know well the prices they bring. RVs can be difficult to get accurate numbers for prices that are fair as bargaining is usually part of dealing for one. It is rather like car shopping. You can get a feel for what is fair by looking at the NADA website and if you are serious you should check with your public library as they usually have a current paper copy which is updated more frequently and more detailed.